Juvenile. The smeared, lithium gray Chaos birthmark is easy to discern against the chalky gray base color of this alterna. 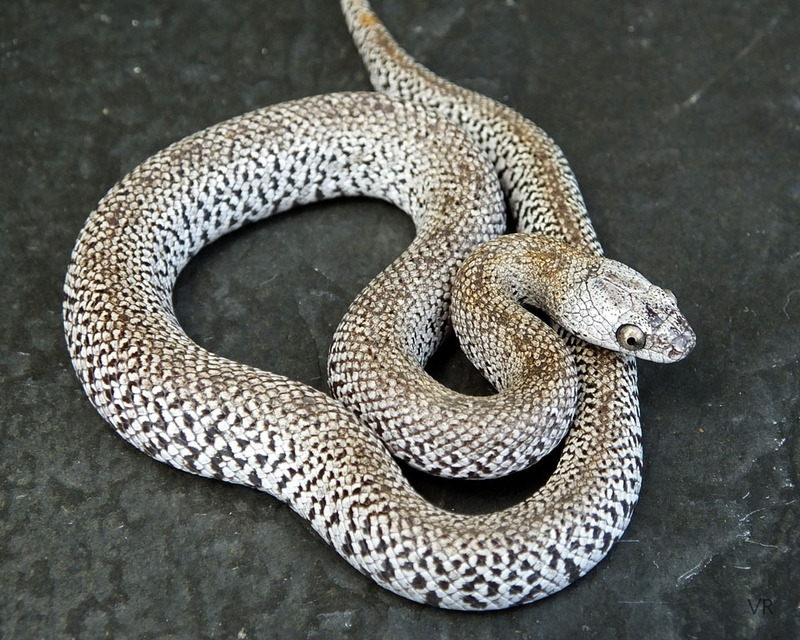 This is one of those alterna morphs where neither patternless nor speckled quite fits the bill. With many alterna the coloration of the iris matches the base coloration on the head. Clear, silvery irises on this beauty.